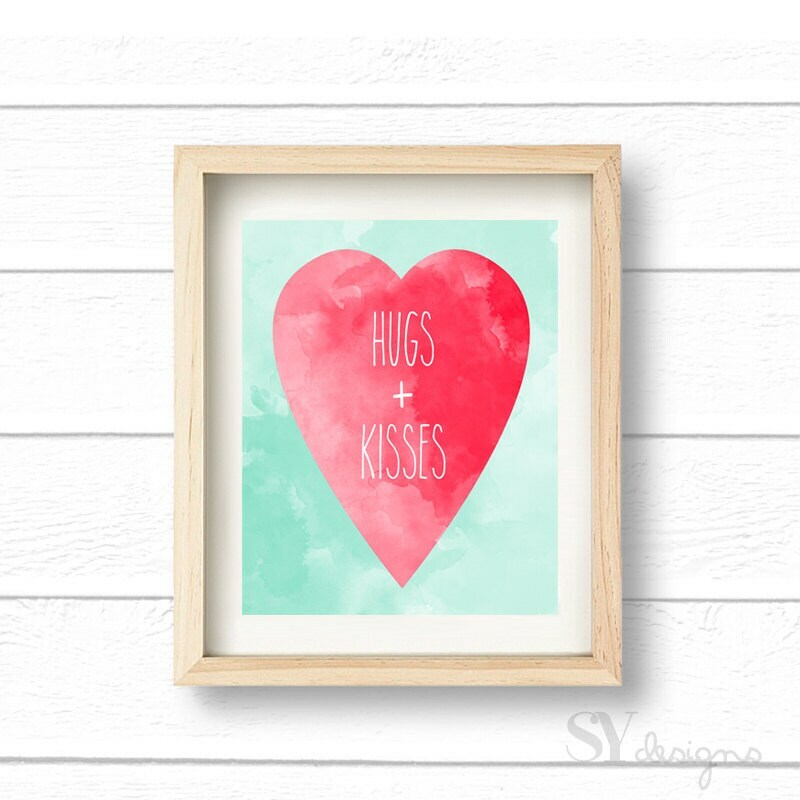 This printable is 8x10 inches and features a deep pink watercolor heart with a beautiful aqua backdrop. This print would look great in any room! Please note this is a DIGITAL DOWNLOAD. There is no shipping involved. You will receive a link to download the high resolution files directly after purchase. If you have any issues downloading the link through Etsy please contact me via message and I can help! WHY BUY A DIGITAL DOWNLOAD? Digital printables are easy and affordable. You are able to choose when and where you would like it to be printed, whether that is on your home printer or at your favorite print shop. Simply Yours Designs provides a JPEG file that you are able to send to online photo centers as well. You also have the option to print multiple times for replacements if it ever gets damaged, or even for gifts! © All designs are copyrighted by Simply Yours Designs. Printable downloads allow the use of the design for production and display in home, office and business environments, including public spaces, but does not allow for commercial reproduction or resale without written permission and licensing from Simply Yours Designs.